Are you using a Rockchip based Android smartphone or tablet? If yes are you looking for a tool to flash stock firmware in your device? If yes is your answer again then you have landed in the right page. Download Rockchip Factory tool from here, install it in your computer and use it for flashing stock ROM firmware in your device. 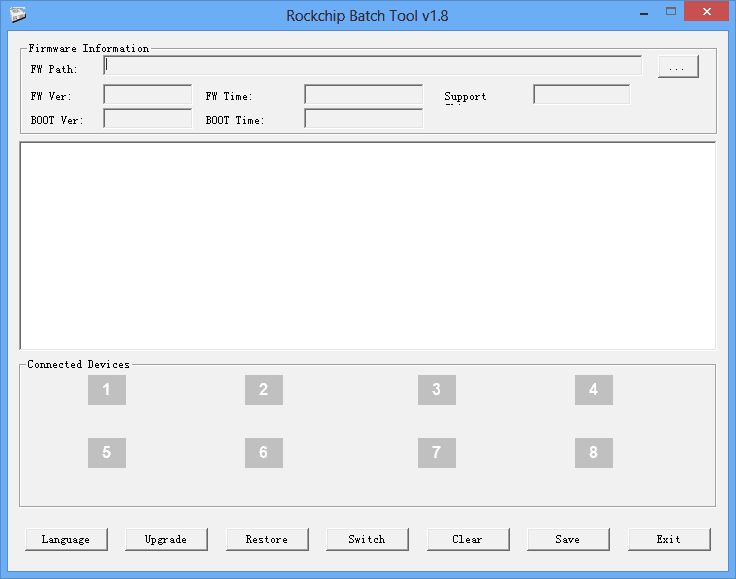 By using this Rockchip FactoryTool you can easily flash stock firmware on all Android Feature Phones, Smartphones and Tablets that are using Rockchip chipset. 1) Simple Interface: The Rockchip FactoryTool comes with a simple user interface. Therefore using it for flashing firmware in your device is not a difficult task at all. 2) Supports All Rockchip Devices: This tool supports flashing stock Android firmware on all Rockchip devices including RK312A, RK3188, RK3066, RK2918, etc., via two options “Restore” and “Upgrade”. You can use any one of these options to flash firmware in your device. 3) Detects Chipset: The Rockchip firmware Factory tool detects the chipset of your device as soon as you connect it with your computer. Also if you load a firmware that is not compatible with your device’s chipset, it will let you know immediately. 1) The Rockchip firmware factory tool is created by FuZhou Rockchip inclusion. So all credits must go to them. 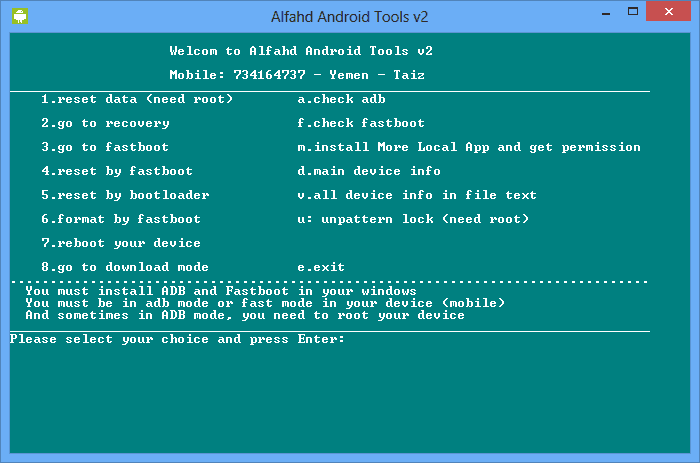 2) This flash tool can be used for flashing firmware on all Android feature phones, tablets and smartphones with Rockchip chipset. 3) Make sure that you take a complete backup of personal data in your smartphone before using this tool to flash firmware. 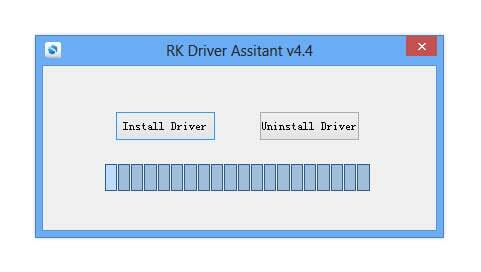 4) Rockchip Factory Tool supports all versions of Windows including Windows 10, Windows 8.1, Windows 8, Windows 7, Windows Vista and Windows XP.